In advance of the Centennial of the 1915 Armenian Genocide, The Abovyan Group sat down with Ara Sarafian, Director of the Gomidas Institute in London, to talk about the Genocide issue, Turkish-Armenian relations, the Kurds, Recep Tayyip Erdoğan, Hrant Dink, William Saroyan, and prospects for peace and reconciliation in the region. Q: How did you get interested in Armenian studies and the Armenian Genocide issue specifically? A: I had a general interest in the history of Armenians in the late Ottoman period. I had been to Turkey in the early 1980s, spent almost a year in Ankara to learn Turkish, and I wanted to learn more. 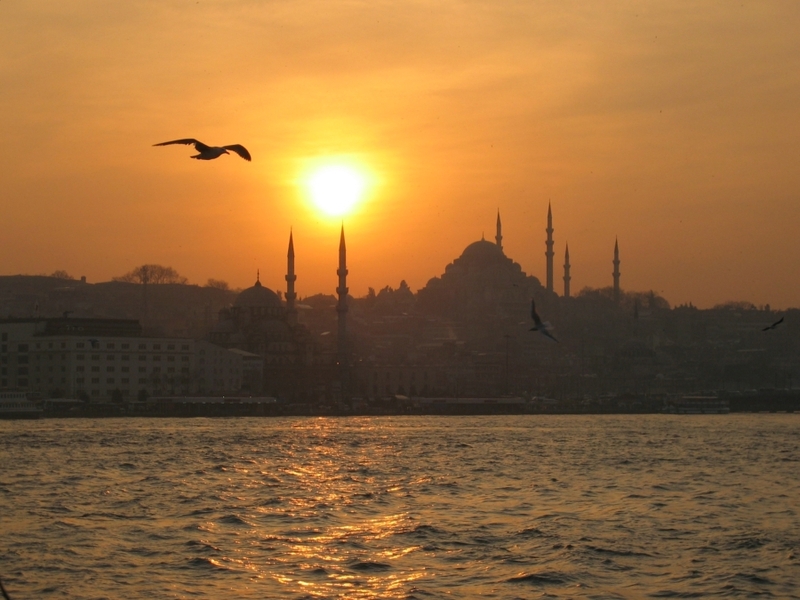 Q: When was your first trip to Turkey? What was it like? A: 1981. It was after the military coup. I was In London and just decided to go. Nobody I knew went to Turkey, let alone eastern Turkey. It was an adventure. Q: Tell us about the Gomidas Institute. How did it start? A: The Gomidas Institute was formed by a group of students at the University of Michigan in Ann Arbor. We wanted to help an Armenian, Souren Aprahamian, publish his memoirs. We then published more materials, then the journal Armenian Forum, and then started to work on different projects. So, the institute evolved over time. Q: You have faced denial of the Genocide both inside and outside of Turkey, most recently with the former head of the Prime Ministry Ottoman State Archives, Yusuf Sarinay. How do you confront this issue? A: Now we are jumping ahead! I am personally interested in Armenian history – social and administrative history of Ottoman Armenians. However, the Genocide is also a major focus. In recent years, I, as well as my colleagues at the Gomidas Institute, decided to respond to the denial issue. So far we have picked three substantial cases of “genocide denial,” where the focus is a concrete issue that could be resolved and the denialist side is a major stake-holder in the issue. One of these issues concerns Yusuf Sarinay, the former head of Turkish archives, who argued that the Armenian intellectuals who were arrested in Constantinople on 24 April 1915 were fairly treated. He even took the political prisoners as an example and claimed that most of them survived until 1918. In a nutshell, I checked his presentation – including his citations from Ottoman archives – and found them fraudulent. I wrote a detailed response, which was published in Agos (in Turkish) to allow him to respond. He did not do so – and has not done so to date. You can see the English version of my article on our website. So, we have showcased Sarinay as a state intellectual, and the argument he has presented, to be a case of genocide denial. What, indeed happened to the men who were in state custody at Ayash prison in 1915? There is no evidence that they were alive by 1916; they certainly had disappeared by 1918 at the end of the war; and we have credible evidence that they were actually killed in the summer of 1915. Q: What has changed in Turkey since Recep Tayyip Erdoğan and the Justice and Development Party (AKP) have come to power? What has been the impact of the party on the Armenian issues? A: It is possible to talk about Armenian issues in Turkey now. The official denial is still in place. But so far, we have the ability to challenge such denial. There is room for dissent in Turkey and that is also what we have been doing through the Gomidas Institute – while building bridges with Turkish civil society. In fact, even the official position of the Turkish state has changed on the Genocide issue. They acknowledge that Armenians were treated in an inhuman fashion in 1915, but they deny details, mix in some fibs, and deny state responsibility. But there is still progress. Q: You have done extensive work with the Kurds in eastern Turkey, notably in Diyarbakir and Bitlis. Tell us about these initiatives. How did this begin? We felt a need to respond to positive developments in south-eastern Turkey. Diyarbakir was already an Armenian-friendly city when we started working there around 2013. Bitlis was an unknown quantity and a test for us. We reached out to build bridges in both places and have been well received. We recently added Mutki to our list of areas of activity. There is a lot to be said about the Kurdish regions of Turkey: although many Kurds participated in the Armenian Genocide of 1915, their own experiences at the hands of Turkish nationalists has been a transformative experience. Another major factor has been the Kurdish movement itself: including the emancipation of women, embracing religious and ethnic difference as part of their own world view, the rejection of national chauvinism, etc. Q: What are Kurdish sentiments toward Armenians and the Armenian Genocide? Can Armenians and Kurds work together on confronting this history? A: I am confident that it is possible to develop a language of reconciliation with Kurds because of their historical experience in Turkey. However, there is need for sensitivity on both sides. For example, I would draw attention to the humiliation and brutalisation of the Kurds in the Turkish republic, the destruction of thousands of villages by the Turkish army in the 1980s and 1990s, people driven into the cities as internally displaced people where they have lived in abject poverty… The last one hundred years of Kurdish history and its legacy are something that Armenians need to understand better. Q: In your view, how do Turkish-Kurdish relations impact the Armenian issue in Turkey today? A: The Kurdish movement has become a catalyst in the democratisation of Turkey. The issues Kurds are grappling with, such as equal rights, the rule of law, transparency of government, are for the greater good of all – including Armenians in Turkey and more broadly. Q: You were recently were part of a major effort to name a street in Bitlis after the famous Armenian-American writer William Saroyan whose family was from this city. Tell us more about this. A: That effort started after we made our initial contacts in Bitlis. I was surprised how many people knew about William Saroyan and took pride in him. When the suggestion was made to rename a street after him, as a first step towards rehabilitating the Armenian issue, the initiative had a lot of support. There was some initial opposition from the state, but that difficulty was overcome, to the credit of the resilience of the local municipality and, dare I say, Turkish democracy? We even had local members of the AKP supporting the measure – that is, cross-party, local support for such a measure. Q: Recently, the Sourp Giragos Armenian Church in Diyarbakir was renovated and restored. Does this set a precedent for the restoration and preservation of other historical Armenian churches and monuments in Turkey? A: Yes, it is a precedent. Though it is not practical to renovate all such structures in Turkey. Q: Why is it not practical? A: One reason concerns the cost of such renovations and their upkeep. If these are to be functional churches, then there is the question of priests. Who will pay for it? In the case of Sourp Giragos, the municipality provided some of the costs of renovation and pays for some of the upkeep. The renovation costs have still not been paid in full. And the church does not have a priest. But it is important, and there is some light at the end of the tunnel. Also, Turkish local authorities can not pay for such projects, especially where there is no Armenian community – and the local (Muslim) populations have their own pressing needs. So, there could be a selective renovation of certain churches, on a case by case basis, but not across the board. And that is hat is happening, anyway. Q: Hrant Dink was a very special figure, both to Armenians and Turks. This year marked eight years since his assassination in Istanbul. Do you recall when this happened? How did it impact you personally? How did this tragedy impact Armenian-Turkish relations? A: I think Hrant Dink was a peacemaker. And he spoke for the voiceless in Turkey – especially provincial Armenians. He was part of the positive development of Turkey. He could talk to Turkish audiences and touch their hearts. However, he was not dear to all. Many Turks did not like him – and killed him. Dink’s trial is still going on because there has been a cover up – and there still is a cover up. Many Armenians also did not like him – and in a sense do not like him. They used to talk behind his back, because he stood for peace and reconciliation. When he was murdered, they loved him as a “martyr.” Now they use his death to undermine his message. How often do we hear his voice of reconciliation? Q: Last year on 24 April, Erdoğan issued a statement of condolence to Armenians for 1915. While not explicitly mentioning the Genocide, is this an indication that Turkey is moving closer toward facing its past honestly? A: Erdoğan has steered Turkey closer to the truth about 1915, but not all the way. So, he has shifted the debate closer to the truth. He has carried his own supporters with him. And he did what was good for Turkey. I do not think he could have done more, even if he wanted to. He would have lost the next election. His opponents, the nationalists, would have had a field day. Q: It has been 100 years since the Genocide took place. What are the prospects for Turkish-Armenian rapprochement? Are there signs of moving forward? A: There are many opportunities for going forward – continuing with trust building, developing the language of peace, showing understanding , etc. However, it would also be prudent to also state that there remain many (possible) pitfalls and possibilities of disaster too. Ignorance, prejudice, partisan adventurism… So, the possibilities for moving forward remain but we should not take matters for granted.